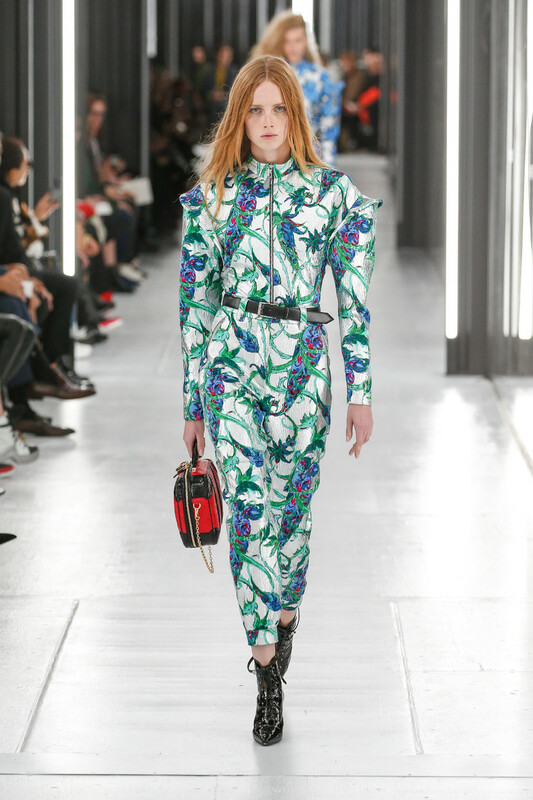 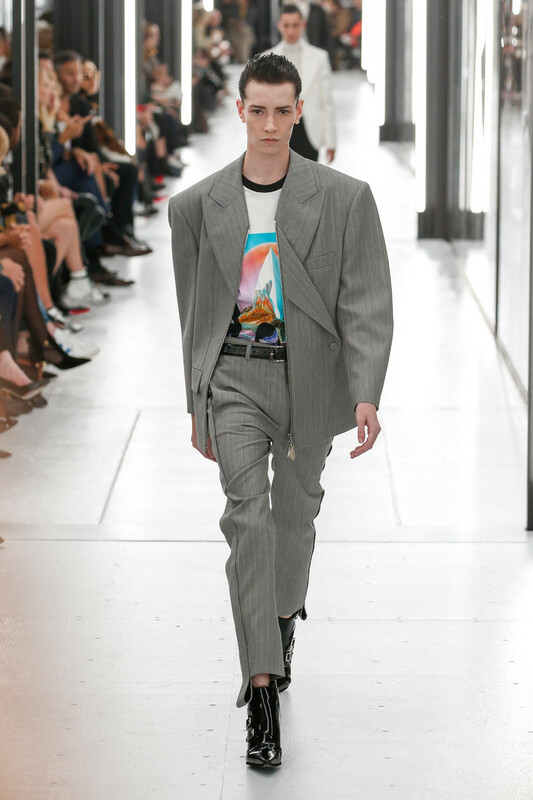 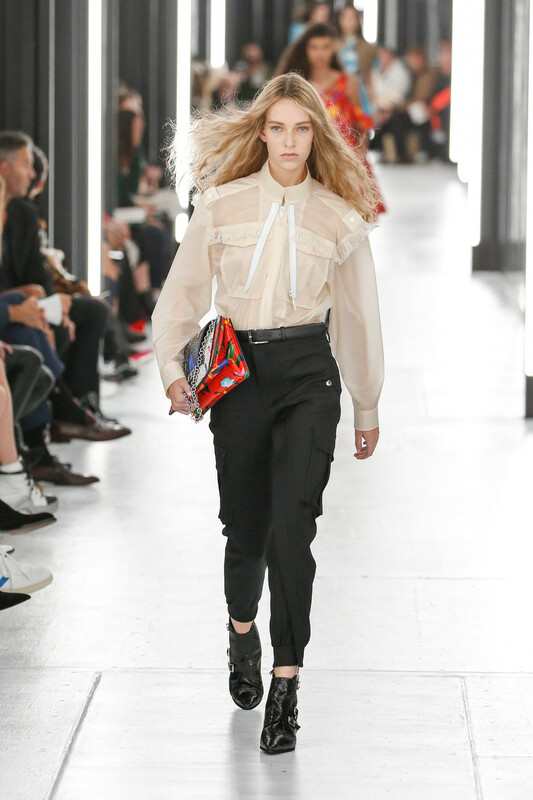 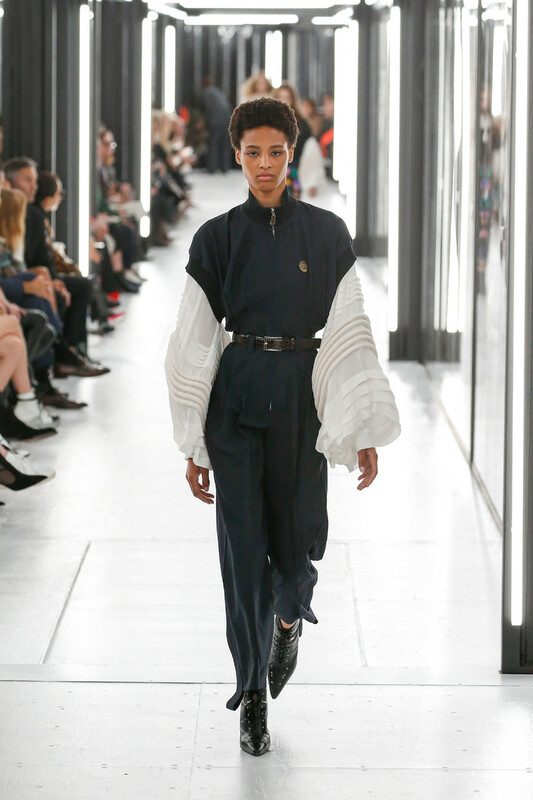 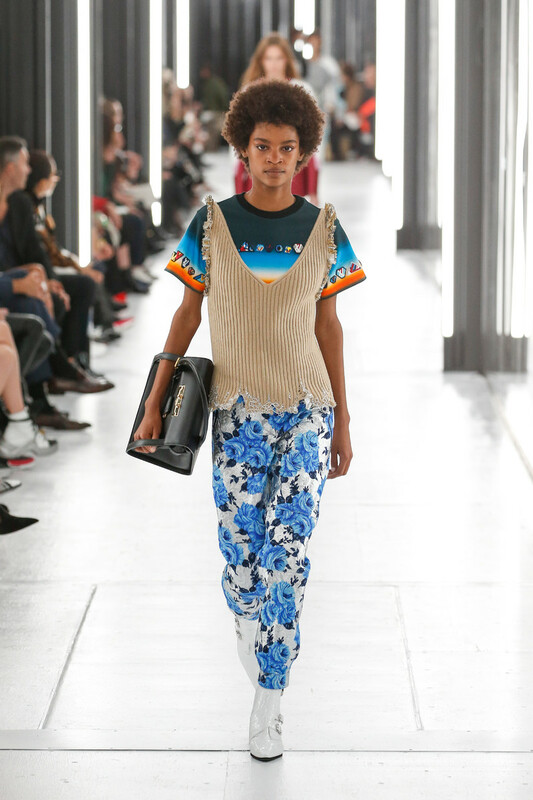 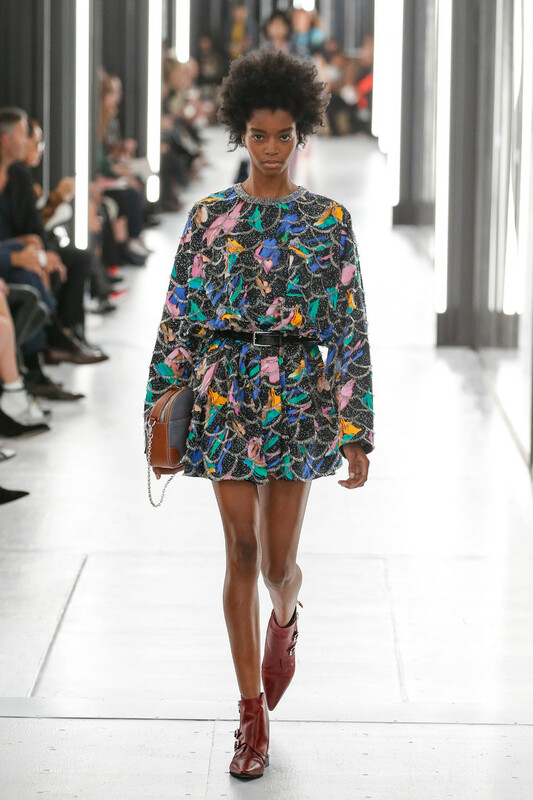 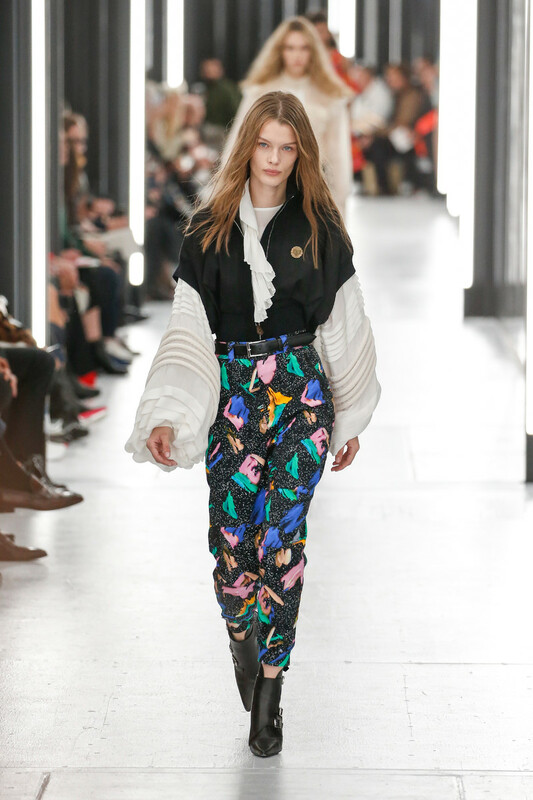 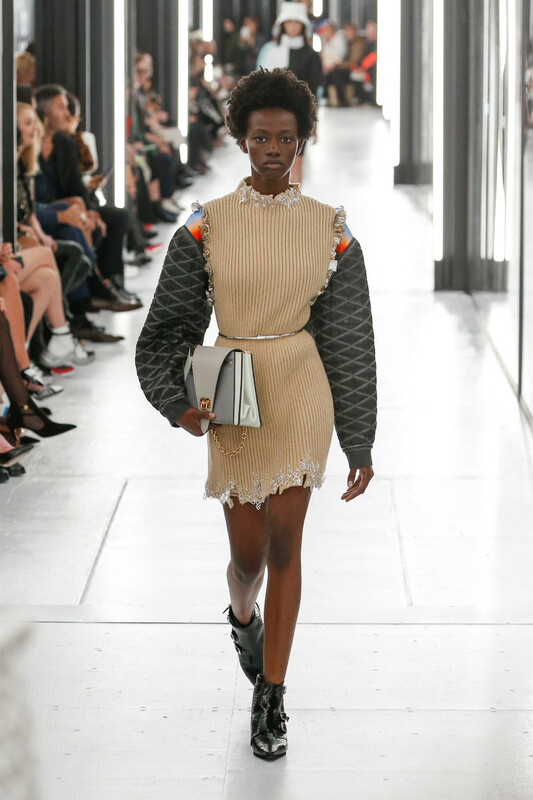 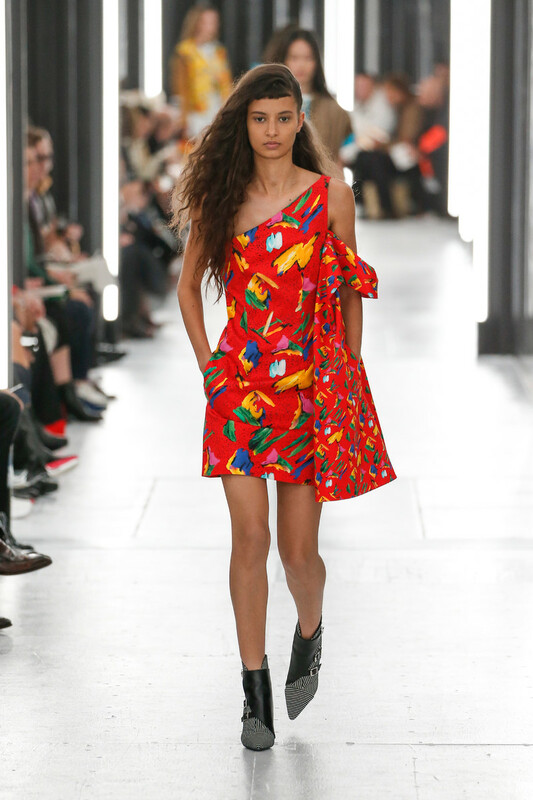 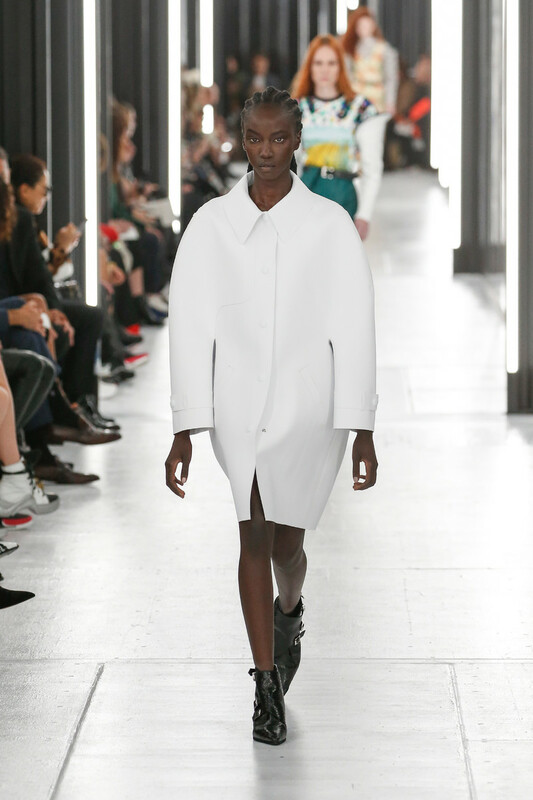 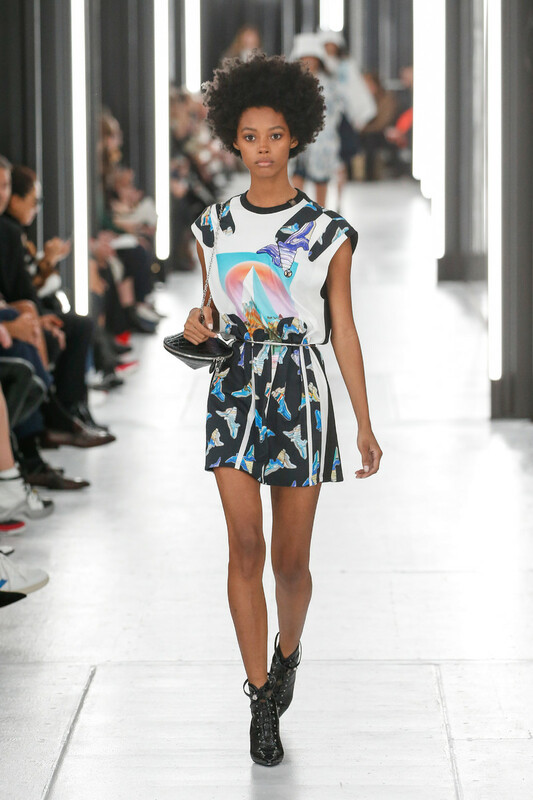 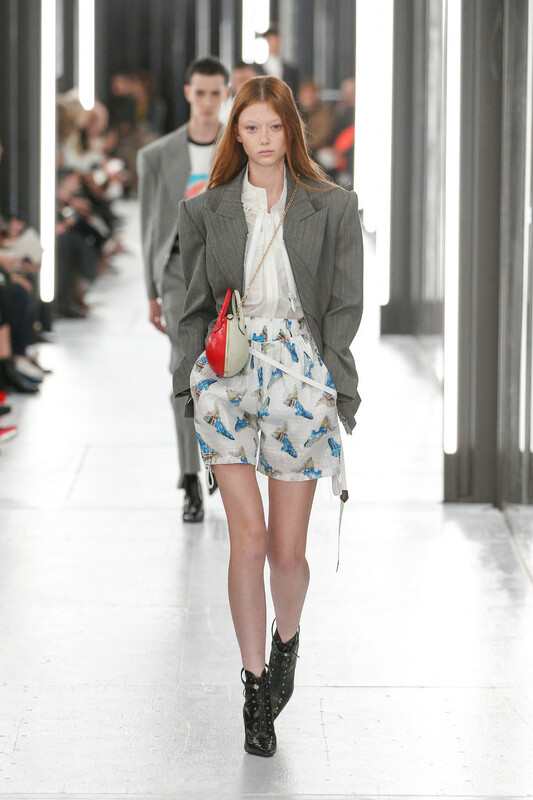 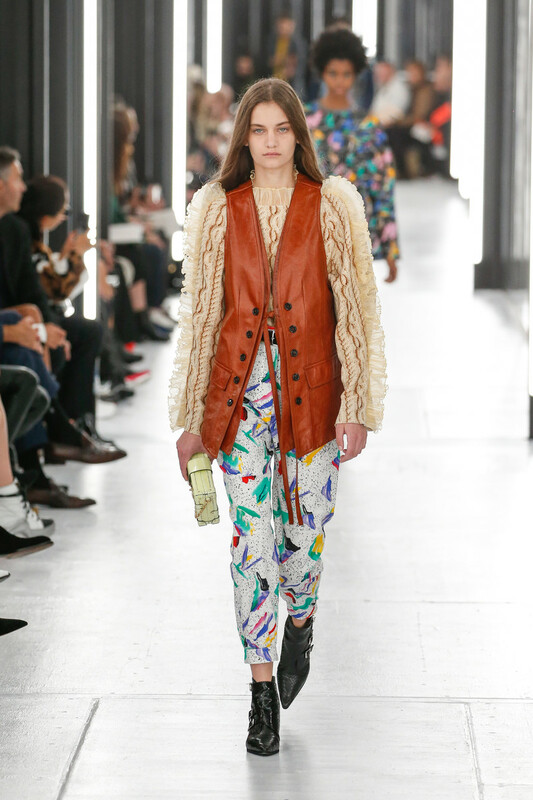 In line with this fashion months most prevailing trends, the gender blending topic, Nicolas Ghesquière pulled a little trick on Tuesday afternoon. 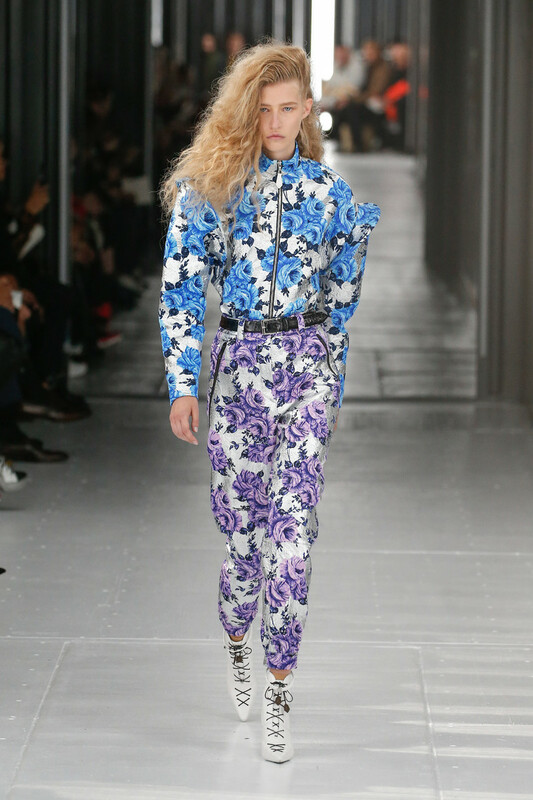 He sent out a selection of menswear and womenswear looks, like so many designers mix those together, yet he had all girls wearing the looks. 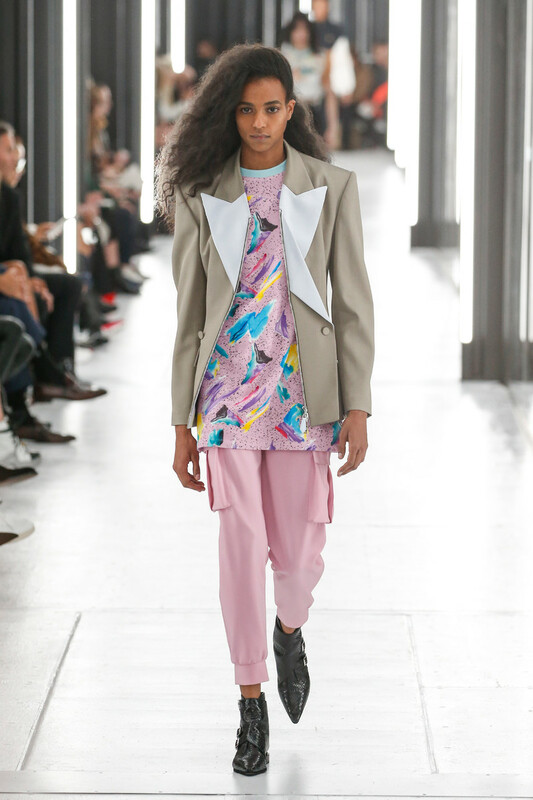 “My idea was to be ambiguous because everyone thinks that when a woman dresses like a man, it’s giving her power. 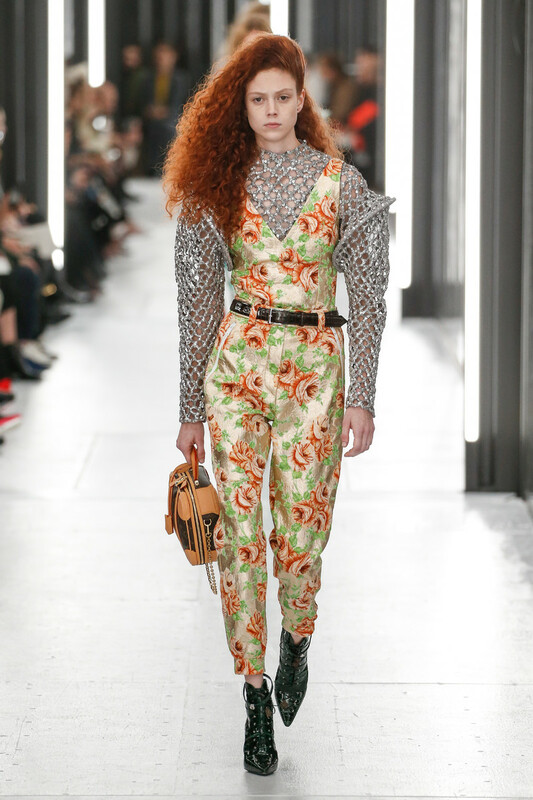 I think you can be very vulnerable when you wear a suit as a woman. 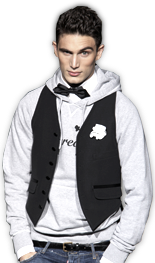 It was very interesting to play with that ambiguity”, he said. 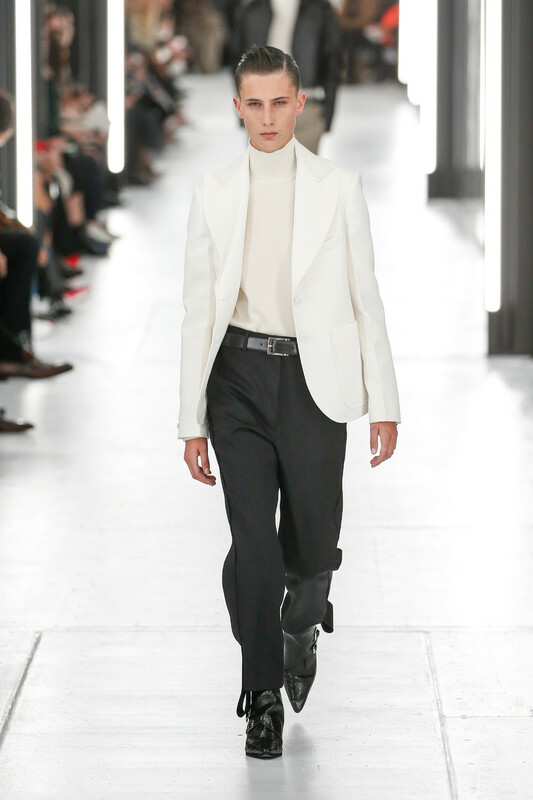 And why wouldn’t girls wear the black pants and white suit jacket or the kaki pants and bomber jacket he designed? 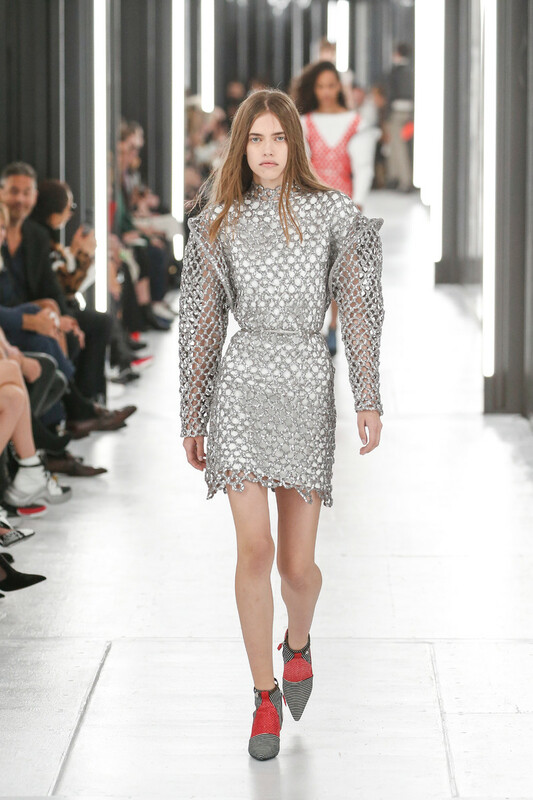 A clear statement at the start of the show which evolved into solely womenswear looks with a sci-fi feeling and a touch of eighties (a returning theme in Ghesquière’s shows), worn by girls. 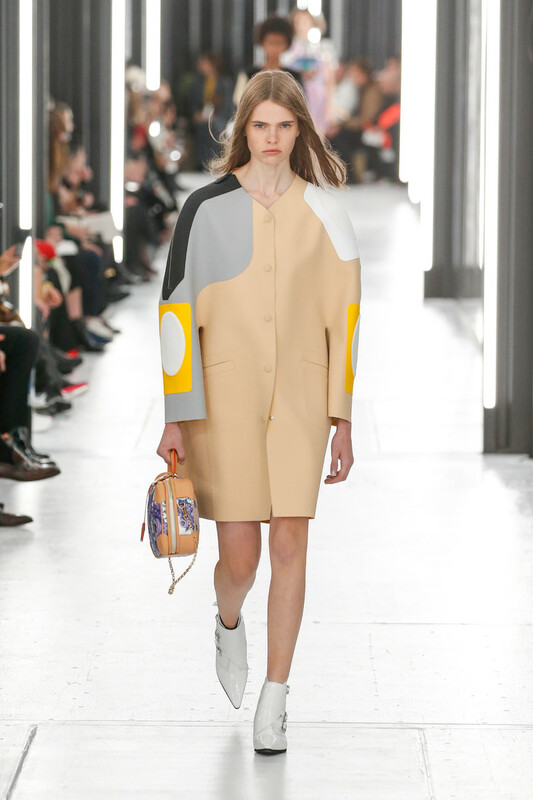 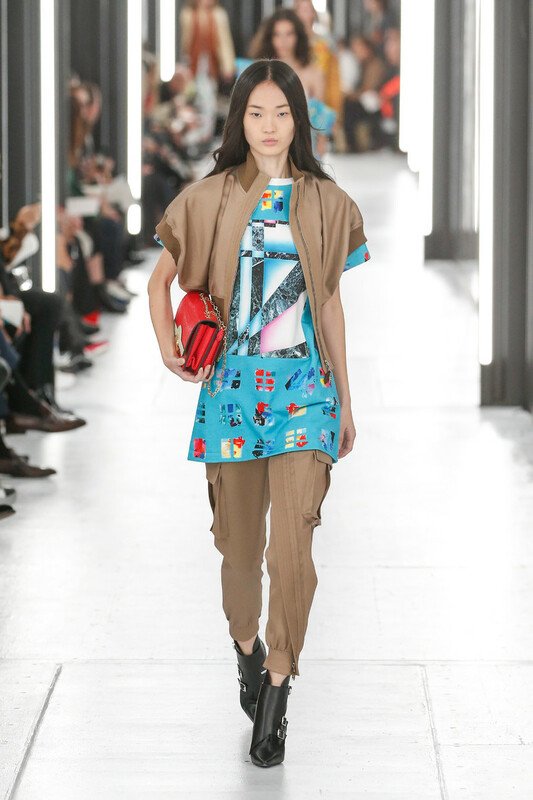 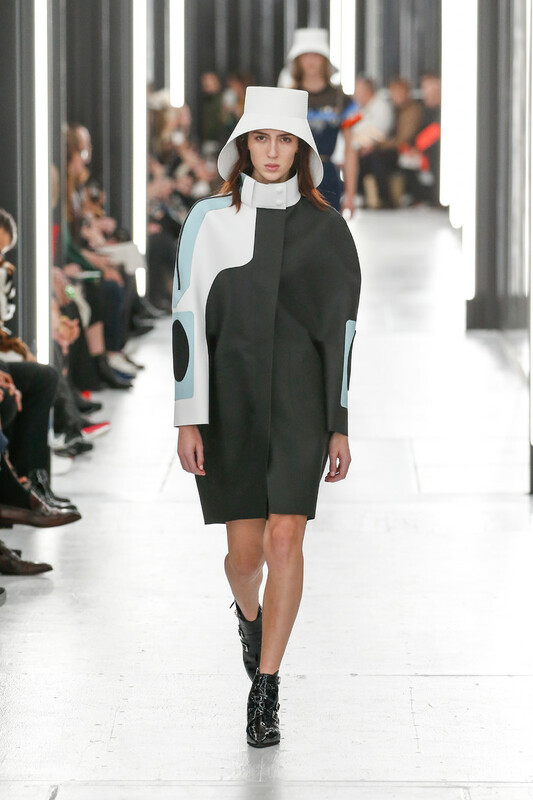 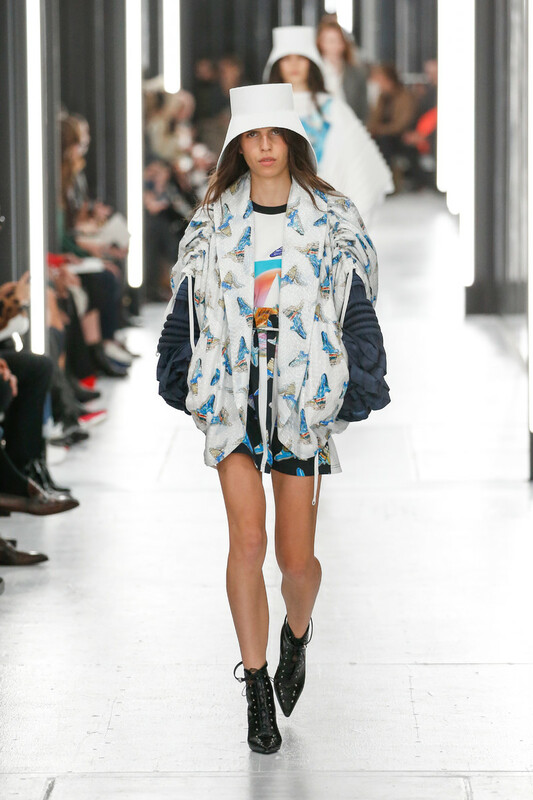 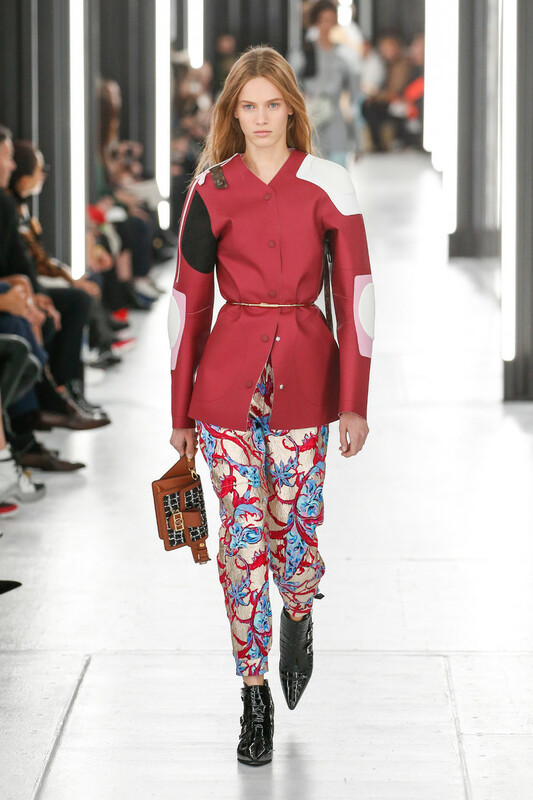 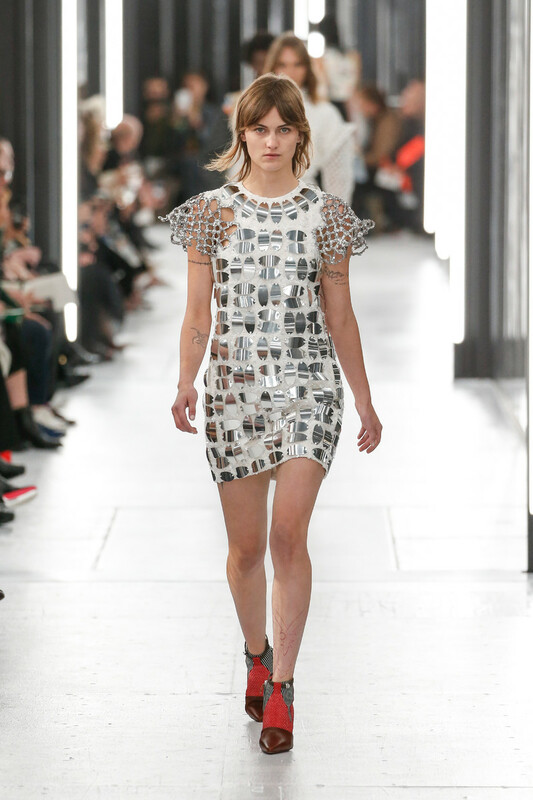 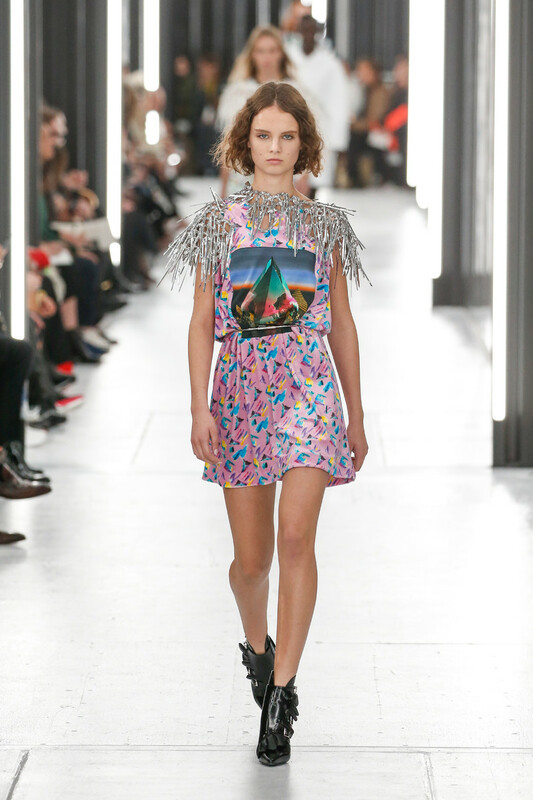 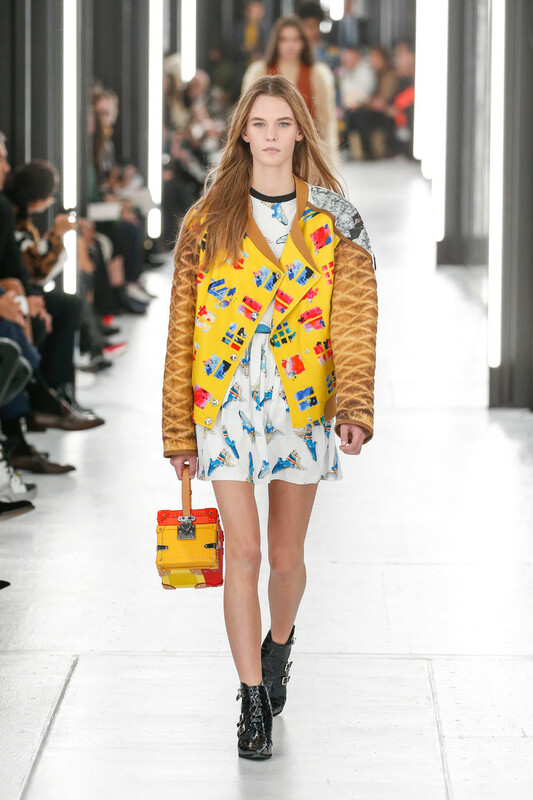 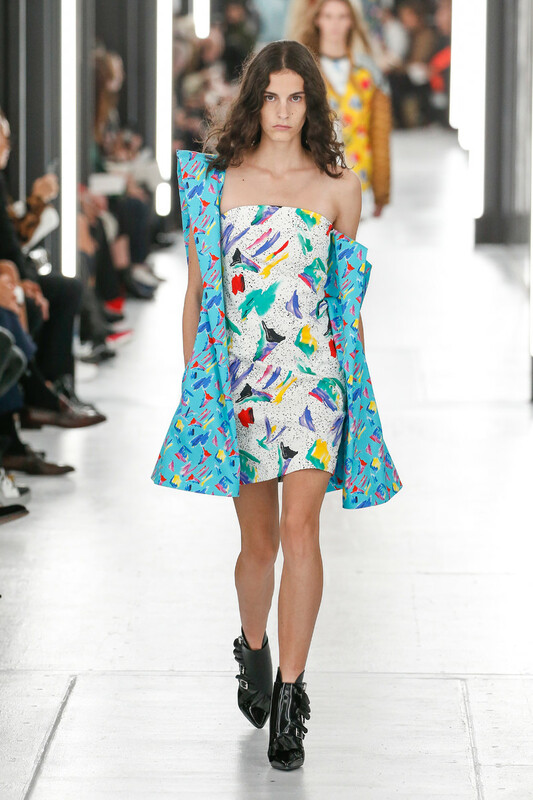 They sported printed dresses with futuristic cyber images on their chests and sturdy rounded rubber coats. 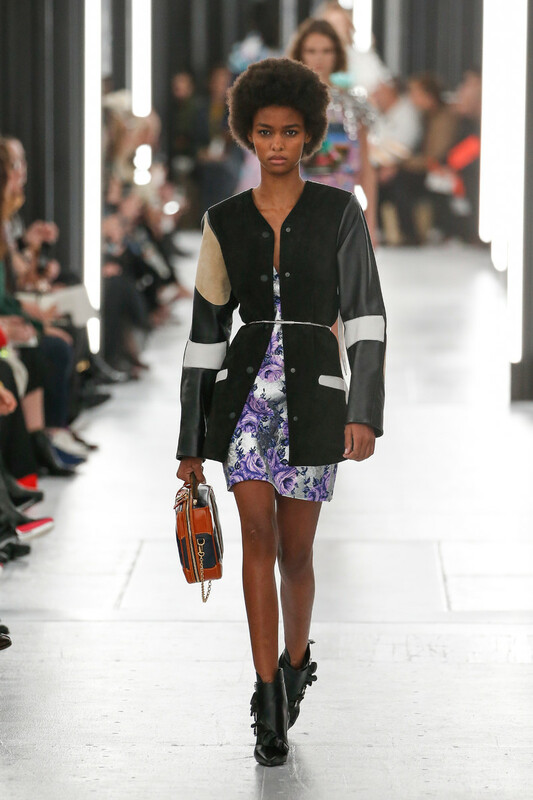 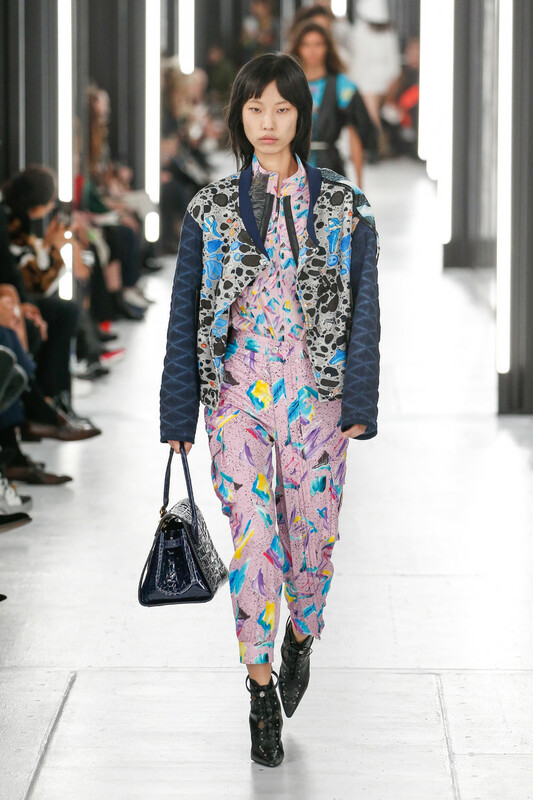 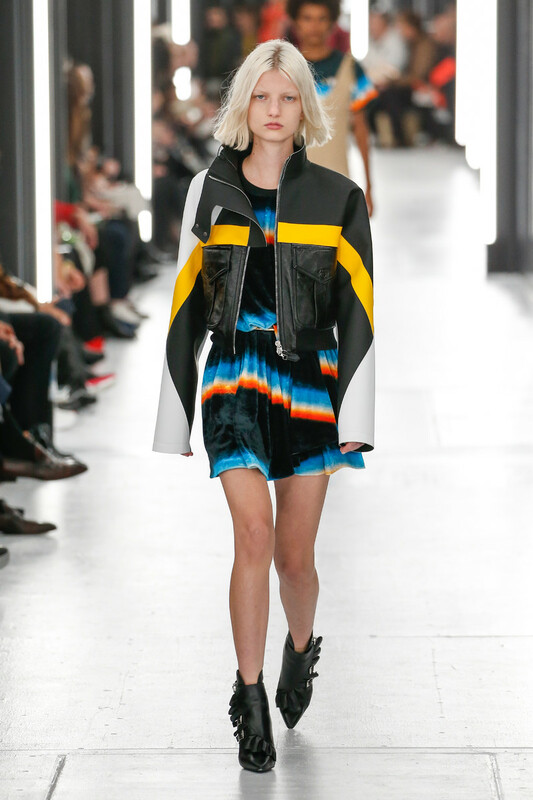 Bomber jackets with contrasting prints and mesh dresses with chunky space suit inspired sleeves. 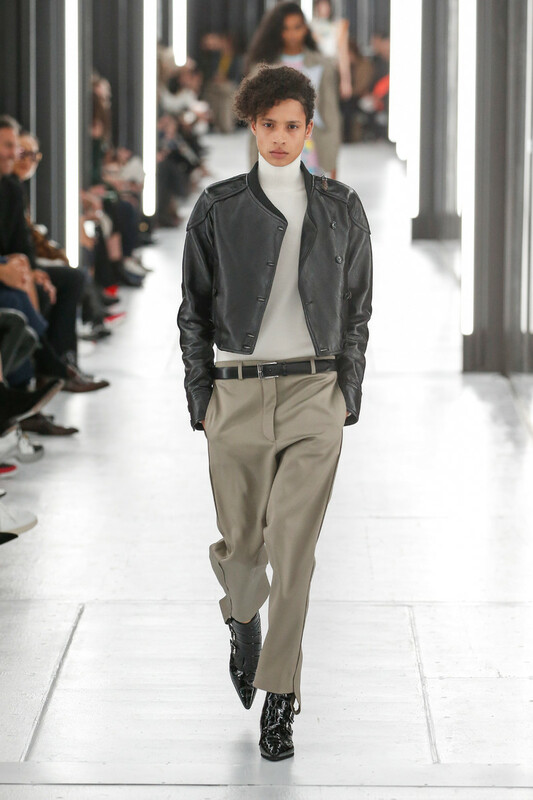 Workwear pants in all kinds of shades and black leather boots. 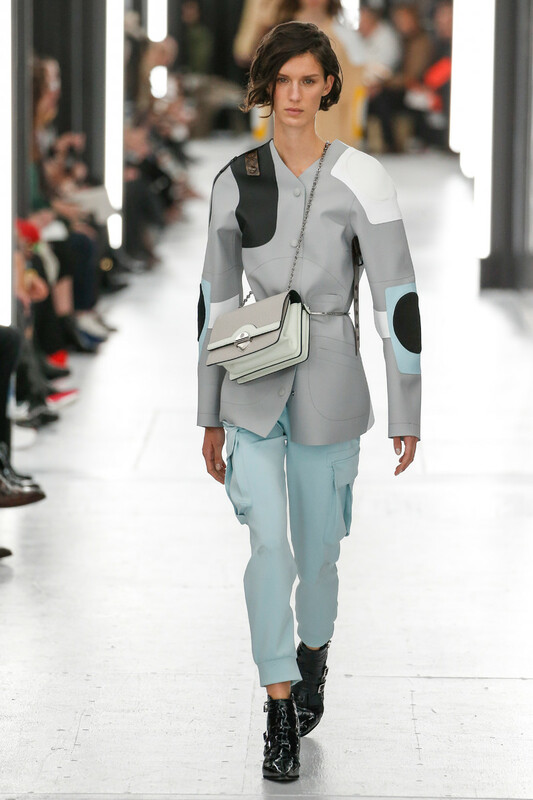 Oh and let’s not forget about the stunning tiny spaceship shaped cross body bags.The collection didn’t have a story or inspiration, these were just clothes designed to make women feel more powerful. 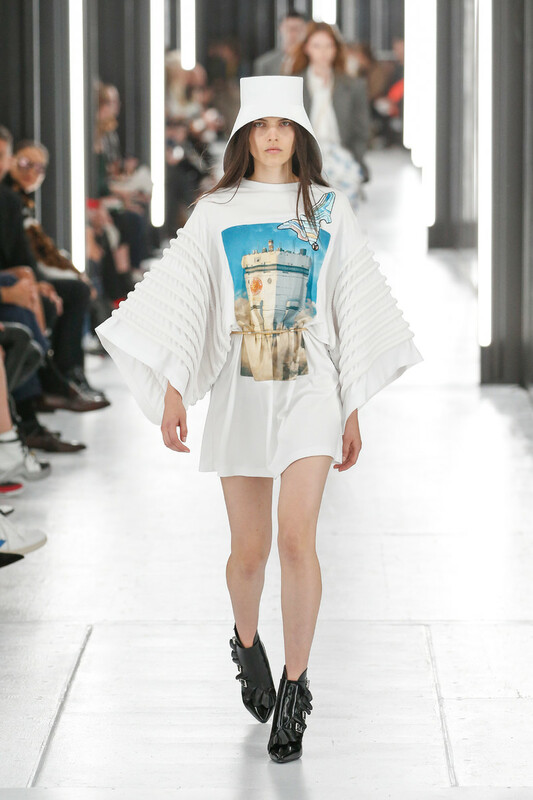 “Every piece that I designed for this collection, I asked the question: is it powerful for a woman to wear this? 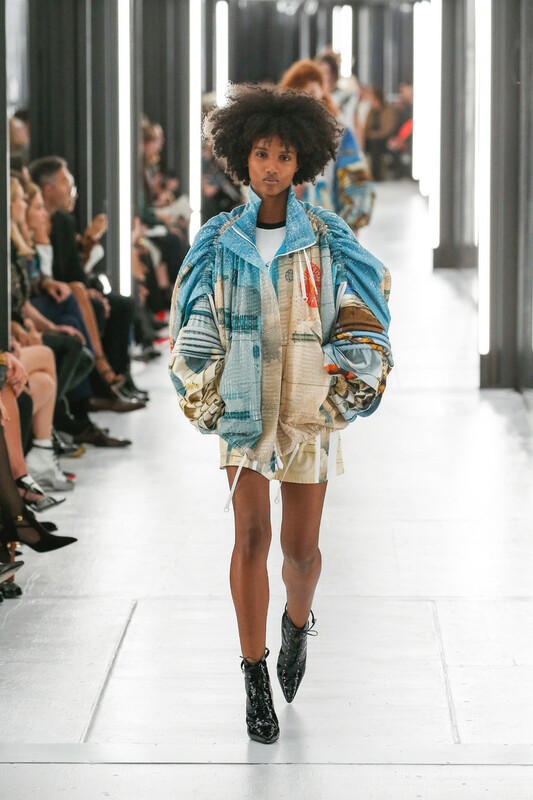 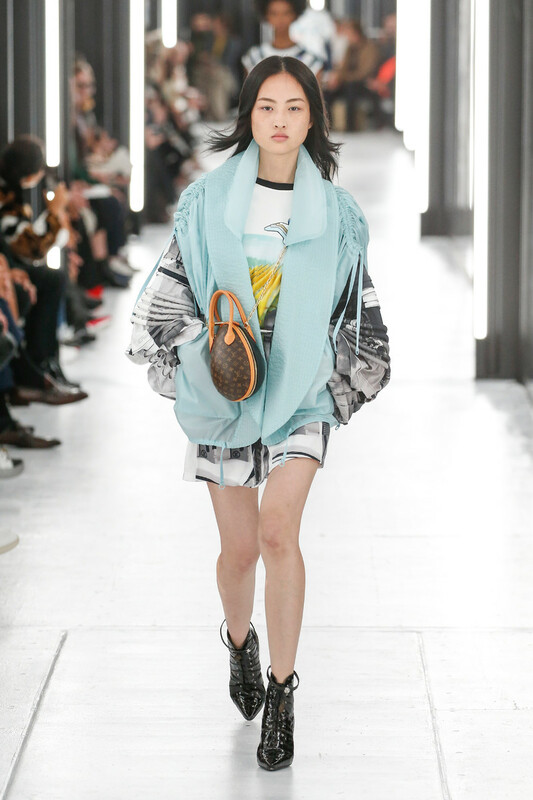 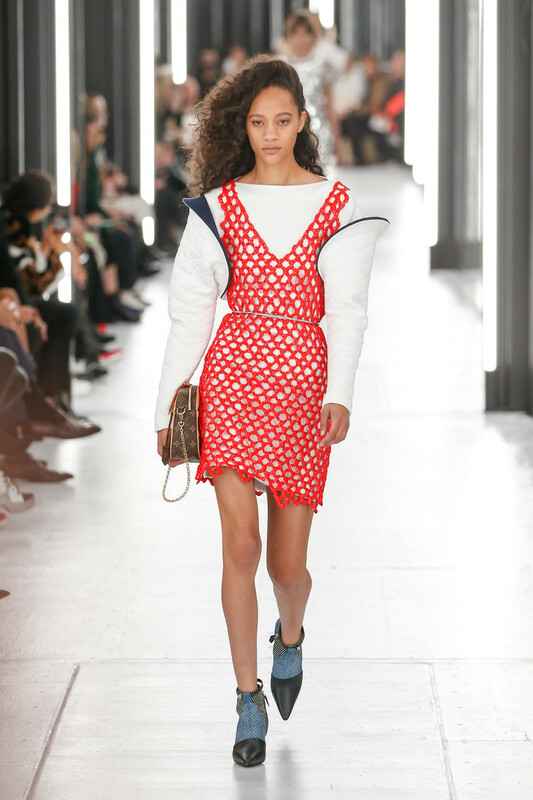 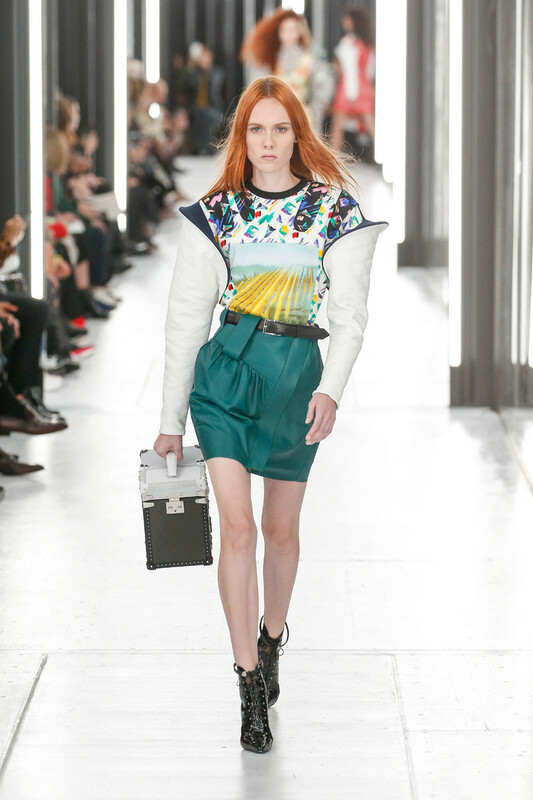 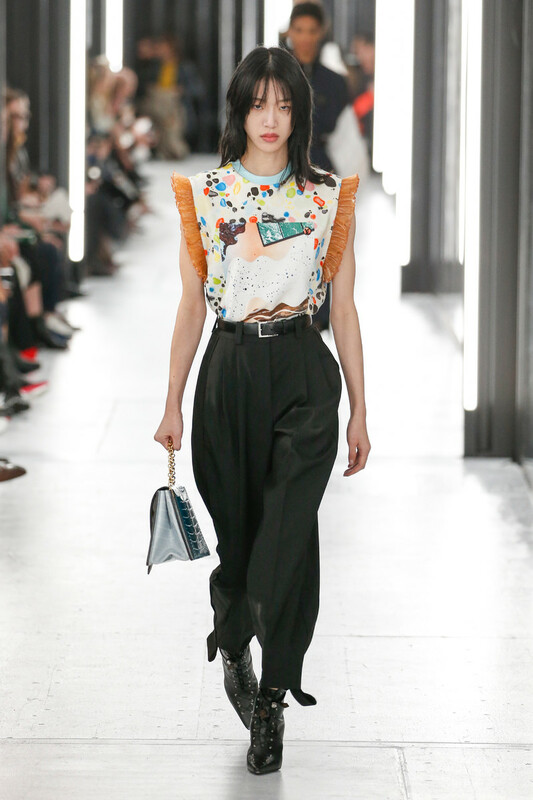 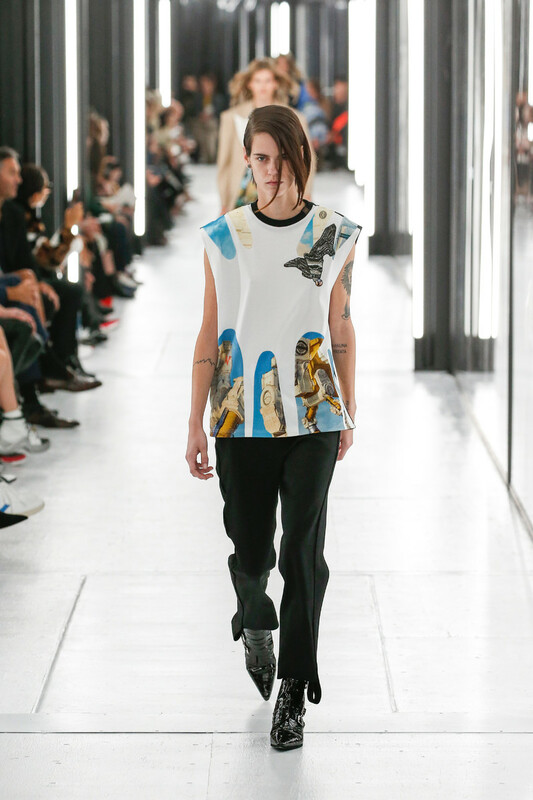 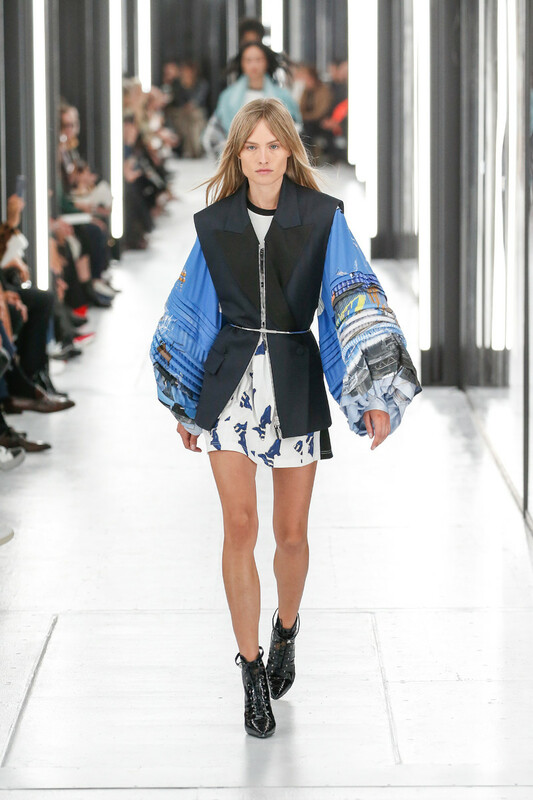 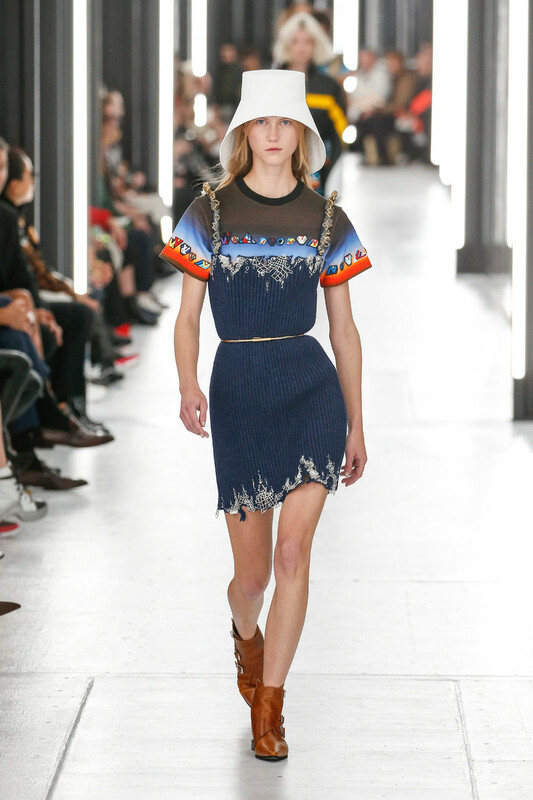 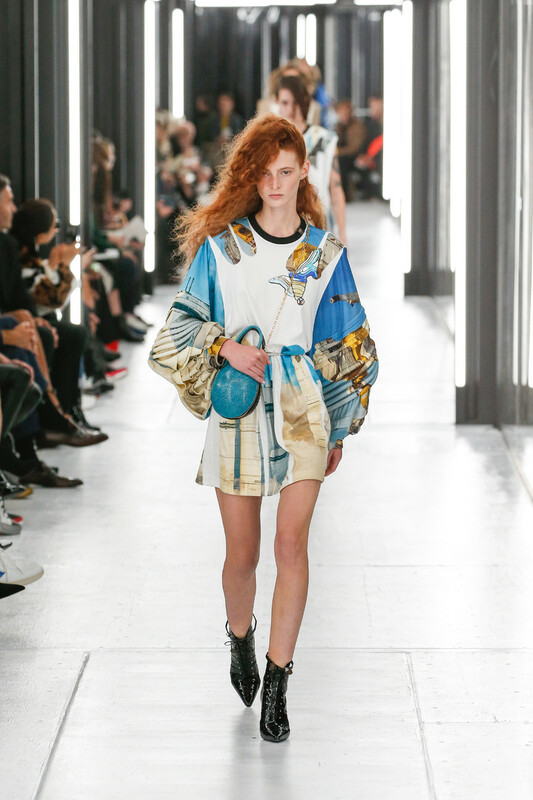 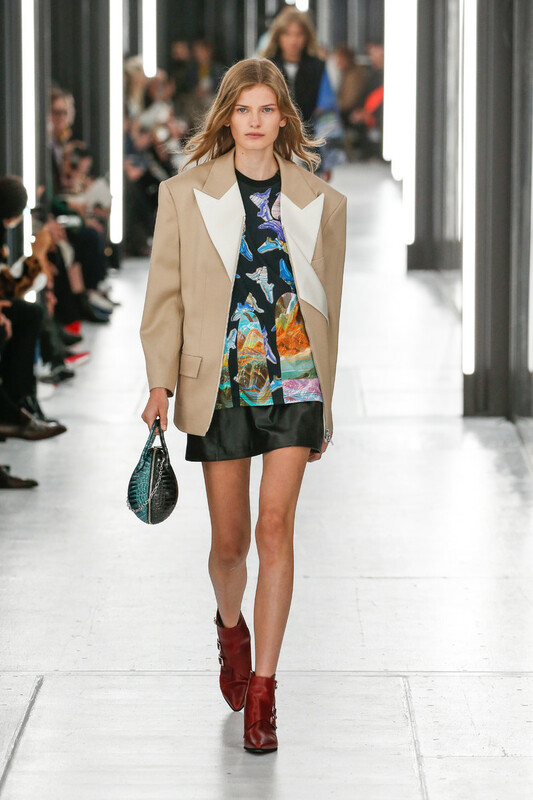 Does it give her strength?” Another fashion month has come to an end and what better way to conclude it than with a short trip to Ghesquière’s galaxy.